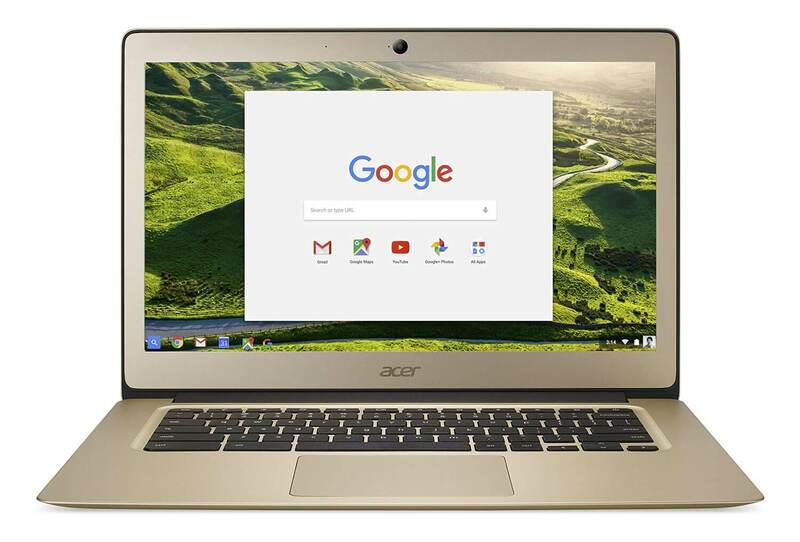 Today over at Amazon you can pick up a great deal on the Acer Chromebook 14. Right now this all aluminum chassis Chromebook is available with 4GB of RAM and 32GB of storage for $270. That price is good on either the aluminum or the gold aluminum finish and is eligible for Prime shipping for members. This Acer Chromebook is powered by a Intel Celeron N3160 processor running at 1.6GHz and the display renders at 1920 x 1080 full HD. As mentioned already, it has 4GB of RAM which is really handy on a Chromebook and has 32GB of storage for those things (like Android apps) that you need to store locally. It also has a built-in battery that is rated to give 12 hours of life between charges. Overall it is a great package and one of the higher rated Chromebooks out there right now. Also keep in mind, for those who are adventurous, this Chromebook can run Android apps if you switch to the beta channel of Chrome OS. To be fair, with Chrome OS 56 expected to be out next week, which should bring Android apps to all devices, that may not be a big deal… but you could do it.